The year is 2006. The Day of Judgment has dawned and the Lord God did separate the wheat from the chaff, the sinners from the virtuous, the damned from the saved. One hundred forty thousand souls felt the Rapture and were assumed into Heaven. Then came the Day of Reckoning. Those who had marked their heads, hands and hearts with the mark of the Beast were cast into the lake of fire. Mankind's lordship over the beasts was ripped from him. The four Horsemen of the Apocalypse were loosed upon the unrighteous. The great Beast was given free reign to roam the wastelands and a third of the stars were ripped from the Heavens by the wings of Michael the Archangel. In the end, Death claimed almost every human that lived. Then things went horribly wrong. God's hand fell upon the dust that was neither wheat nor chaff... those in this brave age who had chosen neither God nor his Adversary. The Risen Christ could not damn them for their sins, but nor could he allow them to enter the Kingdom of Heaven. God's greatest creation, Mankind, was finally left to his own devices. They have many names, the Meek, the Lost Souls, the Forsaken, but they have all learned the same thing: "The Meek shall inherit the Earth" was not a promise... it was a warning. The Meek Have Inherited the Earth...Poor Bastards. I have the original version of this game. I will say that it's a well thoughtout, well written execution of the premise. Very original setting and orginal use of Biblical apocalypse concepts. Definitely going to get my hands on this edition. Honestly, i can't say if this is an interesting product, because the preview is pointless, it shows only copyright notices and legal details. The product seems interesting, but I don't want to buy it without clues about its contents. I suggest to make a new preview, showing at least a table of contents with the number of pages of the book. Agree. It's wish listed for now. 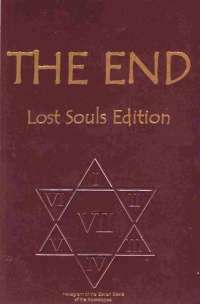 If this is the newer edition of THE END RPG (Scapegoat Games, 1995), then it's good stuff, but don't take my word for it. I heard it was banned from a con for its, er, "divergent" take on Christian religious beliefs about coming events! Only the morally "lukewarm" people are left, so the U.S. is severely depopulated and infrastructure can't go on, and various settlements and societies and warlords develop and players can roam around Mad Maxian style and explore the country, maybe assist in forming long-distance alliances for their clan. But it was all for fun, not to offend. I thought moral judgment was all-or-nothing because God is a binary computer and you're either "on" or "off" to him, but there you go! Took a look at the authors listed and can confirm it’s the same game (or an overhauled version). I knew Joe Donka back in the day. He GM’d my first game. In these volatile times, I won’t make value judgements about the subject matter at the core of the game. The subject of religion is even trickier now than when it first came out. 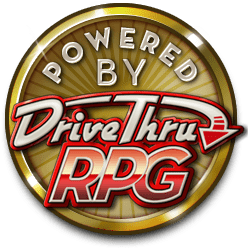 What I can say this: having been released iduring the mid-90’s RPG boom, it stood out as one of the most unique and extraordinary concepts as a basis for the narrative. The game system is a sufficient framework to make the game work. But like so many games back then, there was nothing that made it anything more than ordinary. But the fundamental concept behind the game is so original. The rapture is assumed to be a binary scenario: heaven or hell. But why? There’s a lot of room between those two places and so let’s make the universe for those who fall between the cracks. They’re left in something that resembles a sort of purgatory. God and the...See more devil have done their thing and they’re gone. And since nothing is tending to the universe anymore, process of decay begins to accelerate. How do you survive? The concepts of society start to decay as well. How do we cope? The end times have come and gone but a lot of people are still here. Now what? Not many games are so original and novel, but this is definitely one of them. This title was added to our catalog on June 18, 2004.